Provide a hot nutritious Korean meal for one senior for 1 week. Help cover costs for mental health counseling or support group. Help cover cost for a senior to attend a full day of Adult Day School. Chicago’s Congregate Meal Program: Studies have shown that many seniors experience food insecurity. This can be detrimental to their overall physical and mental well-being. To ensure that our seniors receive a hot nutritious meal, Hanul offers homemade Korean meals Monday to Friday where our seniors can dine in a safe and warm environment among friends. Your support will also help individuals to attend one of the many activities conducted before and after meal hours. 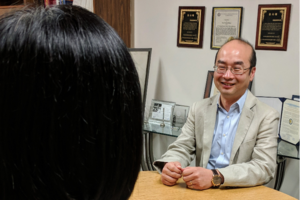 Mount Prospect’s Mental Health Well-Being Program: This year, Hanul became a state licensed mental health counseling agency which will allow mental health assessment and counseling for individuals and families. In order to expand our mental health programs, we need your help. Your generosity can help support families that care for their loved ones who suffer from all stages of dementia-related diseases, and launch the Memory Cafe, a support system for individuals with Alzheimer’s or any type of dementia and brain disorders. 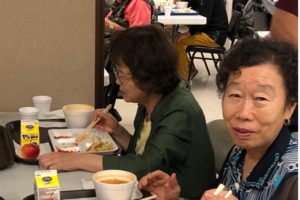 Lake County’s Adult Day Program: This past April, Hanul opened its third location in Buffalo Grove to meet the growing Korean American population in Lake County. This meant our seniors and families have access to programs like congregate meals, exercise, mental health counseling, and socialization activities. Please help us provide more opportunities to serve those in our community who live in isolation and lack resources and support. At Hanul, we strive to meet the needs of our community by expanding and improving our programs. However, this also requires more time and financial resources. This year, our goal is to raise $60,000, which will be used to support programs such as the Congregate Meal Program, Mental Health Well-Being, and Adult Day Programs. Can YOU help us achieve our goal by making a generous donation TODAY? 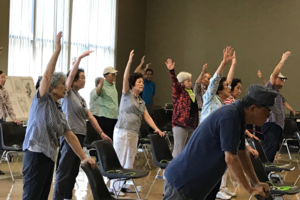 Hanul Family Alliance was founded in 1987 as a Korean American Senior Center to meet the needs of primarily limited-English-speaking Korean elderly. Today, the agency annually serves over 10,000 individuals and families of all ages and ethnicities by providing a broad range of community services to meet the diverse needs of our community members. Our vision is be a leading organization by becoming an efficient, effective, and supportive provider of social services to an ever changing Korean-American community, and our mission is to provide comprehensive community-based services to meet the needs of Korean-American seniors and families to enhance their quality of life. Our three difference offices in Albany Park Chicago, Mt. Prospect in North Cook, and Buffalo Grove in Lake County conveniently serves our Korean American community spread throughout the Metro Chicago area.